Call it savvy public relations or plain good investing, but Apple is becoming a solar-power developer in China. News Thursday that the Cupertino, Calif.-based company is partnering with SunPower., a major U.S. solar-panel maker, to build two solar power plants in China’s southwestern Sichuan province, highlights Apple’s attempts to offset its growing carbon footprint in China, where it is expanding at a rapid pace. Although financial terms weren’t disclosed, SunPower said Thursday that Apple will co-own the projects, which have the combined capacity of 40 megawatts. Apple has previously said it wants to be carbon neutral everywhere it operates, but that admirable goal is considerably absent in China, where the bulk of its products are made. Until now, unhappiness over air pollution mainly has been directed at the Chinese government, but Apple — already under fire over labor and customer-support issues –could become a major target. Initiatives like these could go a long way toward making sure its image in China remains favorable. Apple tends to be financially involved in clean-energy projects only when they provide electricity for its operations. Apple and SunPower, for example, have partnered together in the U.S. to develop six solar power plants, all of which provide at least some power to Apple’s facilities. In this case, however, Apple’s solar plants are being built in Sichuan’s remote Aba Tibetan and Qiang autonomous prefectures, far from Apple’s corporate offices, retail stores or manufacturing partners. The region is known for its rolling grasslands, where herders take yaks and sheep to graze, and where multi-colored Tibetan prayer flags are strung up along the slopes of hills. 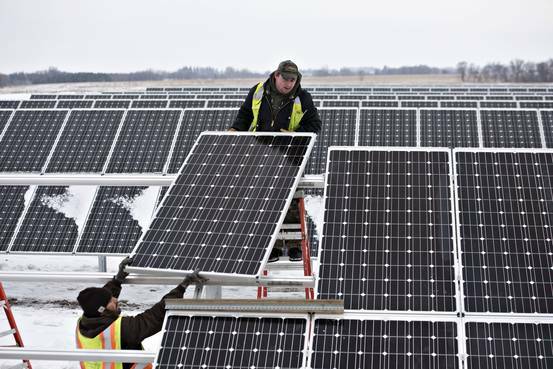 In an interview on Thursday with China’s official Xinhua news agency, Apple’s vice president of environmental initiatives, Lisa Jackson, said the solar plants will be located in grasslands primarily used for raising yaks. Ms. Jackson, who was previously head of the U.S. Environmental Protection Agency, said Apple will take care to minimize the impact of construction on the environment. An Apple spokeswoman said Friday in an email that Apple and its local partners won’t use cement to install solar panels or dig trenches for wires during construction. Apple has been expanding quickly in China as it attempts to go after the country’s burgeoning middle class. The company currently has 21 retail stores in mainland China and hopes to double that number by the end of next year. Although Apple’s latest efforts to produce clean energy in China might be a drop in the bucket when compared with amount of fossil fuels consumed by its manufacturing partners, Ms. Jackson told Xinhua that the company hopes to lead by example for its more than 330 suppliers. Apple’s latest projects join a wave of new solar farms under construction in western China. Solar-panel makers, Chinese policy banks and other clean-energy developers are all piling into the business after China revived its solar industry amid the country’s ambitious targets to add as much as 18 gigawatts of solar-power capacity by the end of this year. via Apple Grows its Own Solar Farms in China – China Real Time Report – WSJ. With the Indian smartphone market booming, Xiaomi has made a splash with its weekly flash sales on Flipkart, an Indian rival to Amazon.com (AMZN). When the Chinese smartphone brand conducted another of its sales on Tuesday, over 300,000 people registered to buy some 90,000 of its Redmi 1S phones priced at 5,999 rupees (or $98). In last week’s sale, the Xiaomi phones sold out in four seconds. Xiaomi isn’t the only foreign company looking to take advantage of consumer demand for inexpensive alternatives to the iPhone (AAPL). The company with perhaps the most ambitious plan is Google (GOOG), which last month made India the first market for its new Android One smartphone operating system. Google teamed up with local brands Micromax, Karbonn, and Spice, all of which have recently introduced smartphones priced around 6,000 rupees. India particularly needs better low-cost phones, argues Caesar Sengupta, Google’s vice president of product development in Singapore and head of the Android One project. India’s mobile operators don’t offer the sort of generous subsidies that consumers in the U.S. and other markets take for granted. ”In the U.S., when you buy an iPhone, it costs $600 to $700 but you get a subsidy, so to a consumer it feels you are buying a $200 phone,” Sengupta says. In India, the cost to the consumer is much closer to the actual cost of the hardware. via Google’s Big Plans for Low-Cost Android One Phones in India – Businessweek. About 16,000 workers at two subsidiaries of Taiwanese touch-screen maker Wintek Corp went on strike over holiday benefits this week in southern China in one of the biggest work stoppages this year, the Xinhua news agency reported. A Wintek executive said the strikes started on Tuesday at subsidiary Dongguan Masstop Liquid Crystal Display Co Ltd and spread on Wednesday to Wintek (China) Technology Ltd. Each factory employs about 8,000 workers, said the executive who declined to be identified as he was not authorised to speak on behalf of the company. The strikes ended on Wednesday and Thursday, respectively, and the company did not expect production to be affected, the executive added. He did not say how many workers had participated. Wintek is a long-time supplier to Apple Inc, but it was not immediately clear who the factories’ main customers were. A Wintek Corp facility in the eastern city of Suzhou, near Shanghai, is on the iPhone and iPad maker’s list of 2014 suppliers, but not the factories in Dongguan. 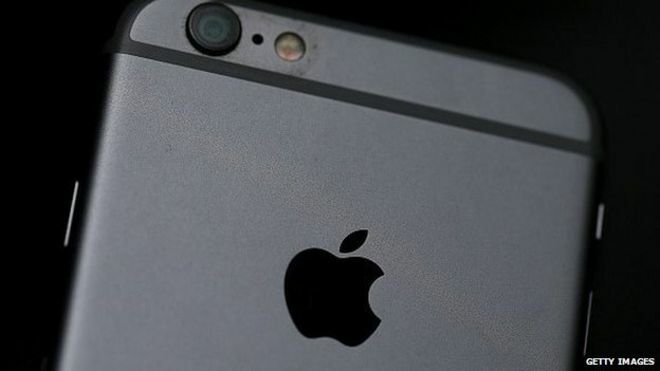 An Apple spokesman in California said the company generally did not comment on supplier relationships beyond the list. Six police vehicles were parked in the rain outside the gates of the Wintek factory in an industrial estate in the southern city of Dongguan on Thursday, although there were no workers in sight. China has seen a surge in the number of strikes at its factories in recent years as the economy slowed and a worsening labor shortage has shifted the balance of power in labour relations. Smartphones and social media have also helped workers become more aware than ever of the changing environment. The largest strike in decades took place in April when about 40,000 workers halted production at a shoe factory complex in Dongguan that supplies Nike Inc, Adidas AG and other major sneaker brands. Those workers were unhappy about insufficient social insurance payments. Workers involved in the Wintek strike told Xinhua that recruitment advertisements had offered cash bonuses equal to half of their monthly base salary on three holidays: the Dragon Boat Festival, Mid-Autumn Festival and Spring Festival. A worker surnamed Zhang told Xinhua they were only given 100 yuan, a piece of chicken and a banana for Mid-Autumn Festival, which was on Monday. Last year each staff member received 700 yuan ($114.17) in cash and a box of traditional mooncakes. The workers returned to work after officials explained that the downgraded holiday benefits were a reflection of the company’s relatively weak performance so far this year, the Wintek official said. Wintek incurred a loss in the first half. via Tech factory workers strike in China over mooncakes, benefits | Reuters. U.S. electric car maker Tesla Motors Inc (TSLA.O) is being sued in China for trademark infringement, a surprise development that casts a shadow over CEO Elon Musk‘s ambition to expand rapidly in the world’s biggest auto market. Tesla said in January that the trademark dispute between it and Chinese businessman Zhan Baosheng – long seen by analysts as a barrier to Tesla’s entry into China – had been resolved. The car maker began delivering its Model S sedans to Chinese customers in April. But Zhan, who registered the “Tesla” trademark before the U.S. company came to China, is now taking Tesla to court, demanding that it stop all sales and marketing activities in China, shut down showrooms and supercharging facilities and pay him 23.9 million yuan ($3.85 million) in compensation, his lawyer Zhu Dongxing said on Tuesday. The Beijing Third Intermediate Court will hear the case on Aug. 5, according to a statement on the court’s website. Tesla China declined comment. Zhan declined to be interviewed. The case underscores one of the thorniest problems faced by foreign firms in China. Global companies including Apple Inc (AAPL.O), Koninklijke Philips NV (PHG.AS) and Unilever NV (UNc.AS) have all been embroiled in trademark disputes in the country in the past. Zhan, who claims ownership of the “Tesla” trademark, has long been a headache for the Palo Alto, California-based car maker and in part contributed to Tesla’s belated arrival in China. Based in China’s southern province of Guangdong, Zhan registered the trademarks to the Tesla name in both English and Chinese in 2006. He had in the past sought to sell the label to the U.S. company but negotiations collapsed. In January, Veronica Wu, head of Tesla’s China operations, told Reuters the company had resolved the trademark dispute that had prevented it from using “Te Si La”, the Chinese name best known among Chinese consumers, which Tesla wanted to use in China. Zhan’s current lawsuit, however, brings new uncertainty to Tesla’s fate in China, which the firm had expected to become its biggest global market next year. Apple Inc was embroiled in a similar case for years before reaching a $60 million deal last year for the rights to use the iPad trademark in China. via Car maker Tesla sued in China for trademark infringement | Reuters. Buying A Tesla In China: Just Call It ‘Te Su Le’? This knock-off Ikea store is emblematic of a new wave of piracy sweeping through China. Increasingly sophisticated counterfeiters no longer just pump out fake luxury handbags, DVDs and sports shoes but replicate the look, feel and service of successful Western retail concepts — in essence, pirating the entire brand experience. 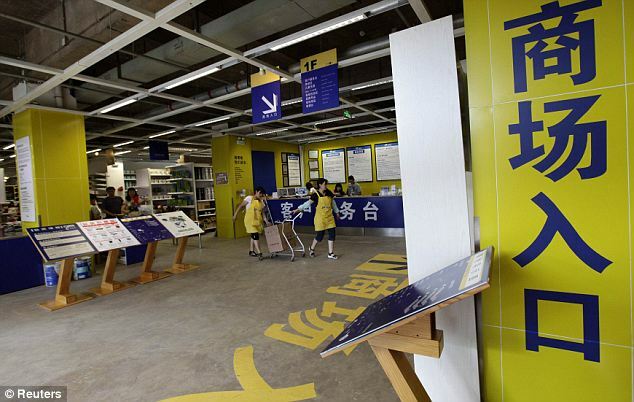 via First there was fake Apple stores in China now fake Ikea shop found in Kunming | Mail Online. Smartphones as cheap as $25 powered by Mozilla Corp.’s software will be available in India and Indonesia later this year, an executive said. 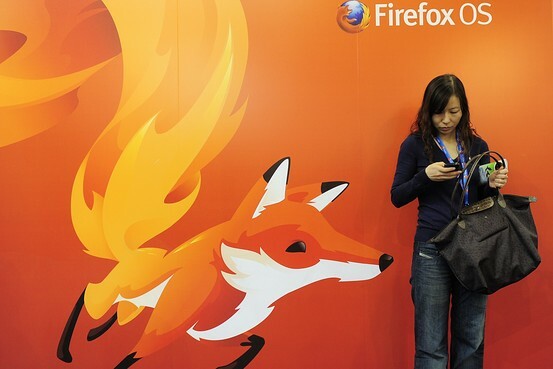 Mozilla has been pitching its Firefox mobile operating system for low-cost smartphones in emerging markets as an alternative to Google Inc.’s Android and iOS from Apple Inc. through partnerships with major handset vendors, carriers and assemblers since July. The U. S-based company has collaborated with four handset makers such as ZTE Corp.000063.SZ +1.32% , LG Electronics Co. 066570.SE +0.13% and five wireless carriers including Telefonica SA, TEF.MC -0.16% Deutsche Telekom AG DTE.XE -0.59% ,America Movil SAB AMX.MX -0.30% to launch five Firefox-powered smartphones in Europe and Latin America so far. But the price for these smartphones are above US$60 and are still too expensive for most consumers in India and other Southeast Asian countries, Mozilla Chief Operating Officer Gong Li said in an interview on the sidelines of the Mobile Asia Expo. “One U.S. dollar means a lot of things to consumers in emerging countries. It’s difficult to sell smartphones that cost more than US$50 in those markets,” he said. To tap the next billion first-time smartphone users, Mozilla is collaborating with Chinese chip maker Spreadtrum Communications Inc. to unveil a low-cost chipset that enables smartphones to be priced at $25 this year. “With a $25 price tag, there is no price gap between a smartphone and a feature phone. This attractive price point would help motivate feature phone users to switch to smartphones,” said Mr. Gong. via Mozilla to Sell $25 Smartphones in India and Indonesia – India Real Time – WSJ. Does a Mozilla smartphone/tablet OS have a chance against Android and iOS?